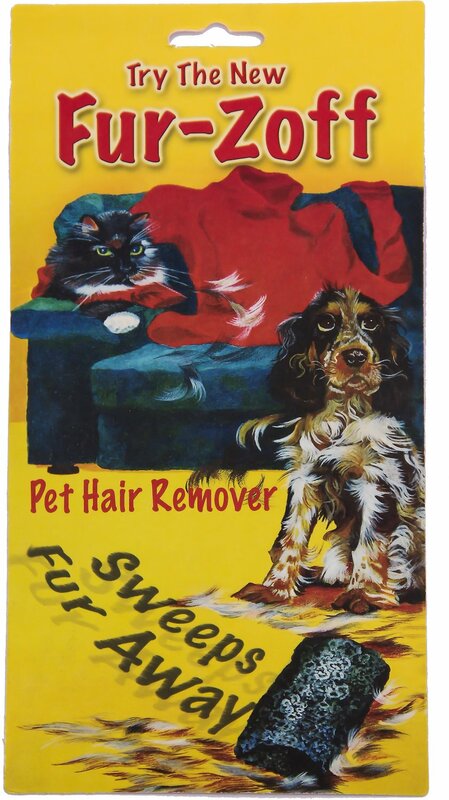 Remove unsightly pet hair from all the fabrics in your life like magic with the Fur-Zoff Pet Hair Removal Tool. 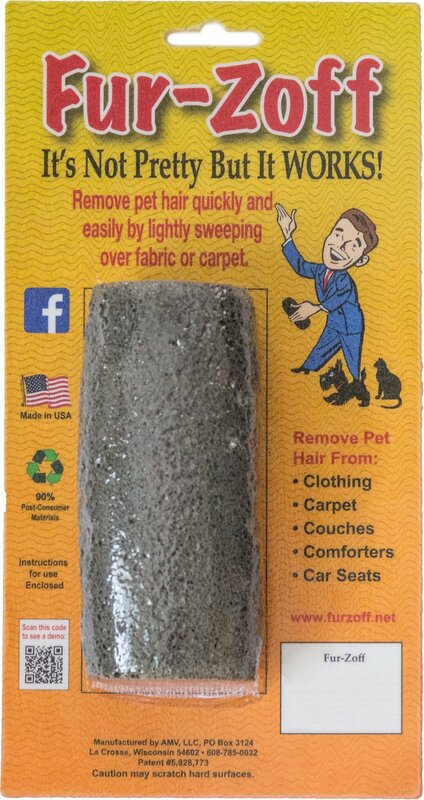 Made in the USA from 90% foamed recycled glass–the same stuff you put in your curbside recycling box, this patented device quickly and easily removes your pet’s hair from all fabrics including furniture, bedding, carpets, car interiors, clothing and more. It’s faster and more effective than vacuums, rubber tools or sticky rollers, and uses no electricity, has no plastic parts, and nothing to ever wear out. Hypoallergenic and odor-free, this unique product is the last tool you’ll ever need to keep shedding pet hair under control! Remove unsightly pet hair from all the fabrics in your life like magic. Made in the USA from 90% foamed recycled glass–the same stuff you put in your curbside recycling box. Unique, patented device quickly and easily removes pet hair from furniture, bedding, carpets, car interiors, clothing and more. Faster and more effective than vacuums, rubber tools or sticky rollers; uses no electricity and never wears out. It’s hypoallergenic, odor-free and the last product you’ll ever need to keep shedding pet hair under control! Lightly sweep over hairy fabric carpet to quickly and easily remove pet hair of all kinds. We have tried everything to remove dog hair from the back seat of the truck, literally everything, the only thing that worked was spending hundreds of dollars to get it detailed. I came across this item on chewy and decided to give it a try. Best $10 ever. The hair comes right up and I don’t have to break my back trying to get the hair up. If you don’t believe me; see for yourself!!! Pictures added! I wasn't sure what to expect, I thought it would be more like a loofa sponge, but it is more hard, like volcanic glass. It really does pick up hair that I did not even know was there. It does not pick up crumbs or little bits, just hair, so you may still need to vacuum with your crevice tool, but for a good deep clean on pillows and your cushions, it really works well. We have a microfiber couch. Only lost one star because it wasn't an outright miracle tool - it wasn't pulling off so much hair that I would call it perfect, but it DOES work really well. I admit I was full of doubt with this thinking there was no way something so simple could actually remove the hair on my furniture and in my truck BUT THIS DOES!! It was pretty awesome. I definitely recommend giving it a try. This item removes cat hair quickly and does not spread it all over...it is ugly, but who cares if it does what it says...and unlike the sticky one, it does not need to be changed halfway through. Highly recommend. This was a complete waste of time. It took up zero hair from my microfiber couch and was incredibly weird to hold. I tried it in several different ways and it did NOTHING. I know it was inexpensive but it was worth a shot. It honestly is a complete joke. I tried this in my car and saw minimal results removing hair out of the fabric parts. I slightly brushed by a plastic handle on the back of a car seat and it completely scraped it up. Also, the texture of it just feels rough and yucky. I would not recommend it. This Fur-Zoff Pet Hair Removal Tool is 100% as advertised. I cannot not live without this Fur-Zoff since I own a long hair cat. This is a must to have tool without damaging any material. I HAVE TRIED SO MANY DIFFERENT SOLUTIONS TO REMOVING MY CAT'S FUR FROM CHAIRS IN THE LIVING ROOM, NONE OF THEM WORKING SATISFACTORILY. FUR-ZOFF IS A GREAT PRODUCT, FAST AND EFFECTIVE TO USE, AND COLLECTS FAR MORE FUR WITH ONE SWIPE THAN ANYTHING EVER DID. 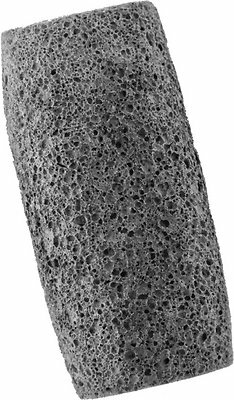 IT LOOKS AND FEELS FOSSIL LIKE, BUT REALLY DOES THE JOB! This may sound strange, but could help someone else with the same problem. I do not have a pet. What I have is myself and my daughter with long hair! It always clogged the brush on the vacuum. The Fur-Zoff picked up every bit of our long hair! Advertise it as multi-purpose!